Welcome. 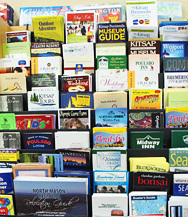 Visit Kitsap Peninsula (VKP) is an economic development organization responsible for promoting the Kitsap Peninsula region to attract and educate travelers and planners that in turn generate retail sales and tax revenues for businesses and local, state and federal governments. Over the past several years, the VKP, using a consistent branding message, has successfully demonstrated that what is good for the environment is good for the economy. The new VKP website will provide information and links to economic data, reports and trends that confirm how important Kitsap's tourism industry is to our economic development, job creation and retention. businesses and non-profit groups servicing the tourism and event planning industry. 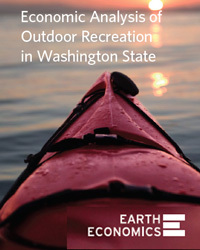 Kitsap is ranked 4th of 39 counties with 6,700 jobs related to outdoor recreation. Kitsap is also ranked 9th for overall economic benefits generating nearly $700 million in revenue and $35 million in local taxes. Kitsap is ranked 8th in economic benefits related to public waters and 6th for public parks. The study is excellent news and confirms the VKP branding strategy to position the Kitsap Peninsula as the "Natural Side of Puget Sound, is right on track. Other trend reports indicate that destinations located near intense urban areas will become increasingly popular and see increased sales and demand. Click here to read the full report.